Sunday, August 11, 2013 ratings — New episodes: Crossing Lines, Big Brother, Secret Millionaire, Whodunnit?, and Unforgettable. Specials: Teen Choice Awards 2013. Episode reruns: 60 Minutes, The Mentalist, America’s Got Talent, Law & Order: Special Victims Unit, America’s Funniest Home Videos, Castle, and Family Guy. 7pm – America’s Funniest Home Videos: (rerun) 0.8 in the demo with 4.39 million. 8pm – Secret Millionaire: 1.0 in the demo with 4.56 million. 9pm – Whodunnit? : 1.1 in the demo with 3.26 million. 10pm – Castle: (rerun) 0.6 in the demo with 3.05 million. 7pm – Golf/60 Minutes: (rerun) 1.2 in the demo with 8.25 million. 8pm – Big Brother: 2.2 in the demo with 7.22 million. 9pm – Unforgettable: 1.3 in the demo with 6.92 million. 10pm – The Mentalist: (rerun) 0.9 in the demo with 5.11 million. 7pm – Family Guy: (rerun) 0.8 in the demo with 1.76 million. 7:30pm – Family Guy: (rerun) 1.0 in the demo with 2.21 million. 8pm – Teen Choice Awards 2013: (special) 0.9 in the demo with 2.63 million. 7pm – America’s Got Talent: (rerun) 0.5 in the demo with 2.39 million. 9pm – Law & Order: SVU: (rerun) 0.7 in the demo with 3.20 million. 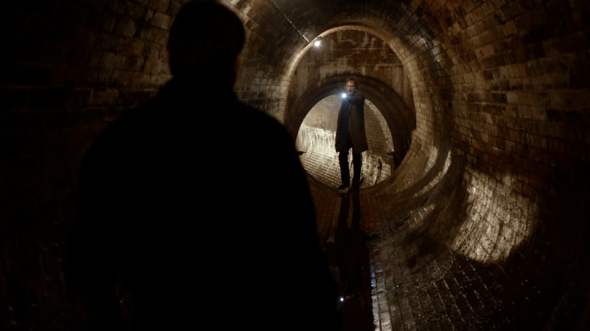 10pm – Crossing Lines: 0.5 in the demo with 2.47 million. Can’t say there is anything that good on Sunday night, but I catch Crossing Lines when I can. If only to see what the European take is on a crime drama. A little different than the networks standard fare, but in no way that much better. CBS has found just the right niche among stilted series, stupid reaity shows, and makes Sunday nite a winner. Talented cast, writers, actors, and something to look forward to among the old, tired shows that have gone on far too long and new ones that don’t cut it. Reminds me of good movies and hope that the series continues for a very long time. We text throughout and try to keep up with the mystery. Fun! Should get some Emmys. intelligent entertainment and being a part of the crime solving mystery story line. Thank you CBS for bring Unforgettable and poppy back!